ATTENTION: Feeling Overweight and Unhealthy? "Discover a Simple Guide to Improving Your Health and Well-Being With Easy and Satisfying Recipes"
Do you ever wish that you were healthier? Do you ever feel sluggish just walking around? Diet is such a fundamental part of our lives yet so many of us don't treat it with the respect that it deserves. The best thing you can do for yourself is to learn how to eat a cleaner and healthier diet. Wish You Could Improve Your Health? Most of us understand the importance of our health, but not all of us know how we can go about improving it. It's somehow a complicated and easy issue at the same time. Are you working a tough job with long hours? Good luck eating cleaner without proper guidance or a plan. Structuring your diet to fit around a demanding job is one of the most common problems that people reading this will face. You're not alone. It's not always easy. So how on Earth are you going to eat clean without spending huge amounts of time preparing meals and counting your calories? Well there is actually a much easier way. As the saying goes, prior preperation prevents poor performance. And diet and clean eating is no different. 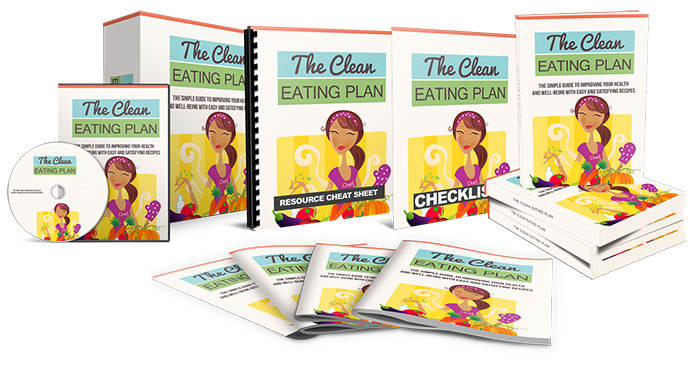 In this guide we will show you exactly how you can structure your diet, what meals you can eat, when you should eat them and most importantly we will educate you as to why you should eat them. This guide will tell you everything you need to start living a healthier life and to lose weight. If you've been wanting to improve your health and well-being for years then do not wait any further. This is the time. You can do this. In This Course, You'll Find Out How To Finally Take Control Of Your Diet And Eat Cleaner?